Democracy is self-government through popular sovereignty, based on the principle of majority rule. Simply put, the people rule, and legitimacy is determined by what more than half of the people want. A serious challenge, though, has long plagued the very concept of democracy: how can the principles of popular sovereignty be implemented in a manner that also provides for a stable society and preserves the rights and liberties of all? Democracy is self-government through popular sovereignty, based on the principle of majority rule. Simply put, the people rule, and legitimacy is determined by what more than half of the people want. The unique American answer to this vexing question has partial roots in an ancient source. Examining the various types of government that existed throughout the world during his time, Greek philosopher Aristotle classified them into three categories: rule by one (monarchy), rule by a few (aristocracy) and rule by the many (democracy). He noted that while all three types began their rule in what he called their “good form,”—ruling on the basis of the common good—all three have a tendency to degenerate into their “bad form,” in which the one, the few, or the many rule on the basis of self- interest. Monarchies devolve to tyranny, aristocracies to oligarchy, and democracies to mob rule. To Aristotle, the best form of government blended all three types into a “mixed regime.” This mixed regime would combine the best features of each and counterbalance their excesses. Aristotle’s mixed regime, which allowed for—indeed advocated—both monarchy and aristocracy, took hold in some European countries by the 1600s. This was most notably true in England, where the king, House of Lords, and the House of Commons shared governmental power. Enlightenment philosophers such as John Locke and Montesquieu, however, challenged vigorously the notion that a traditional monarchy or aristocracy could be compatible with the best interests of the entire civil society. Locke’s natural rights theory was premised upon the idea that all men are created equal, born with rights bestowed by nature and God, not by a ruler. Further, Locke argued that the very purpose of government was to protect these rights, and that popular consent is the source of a lawful regime. Locke did not rule out the legitimacy of some kind of constitutional monarchy. However, absent an effective process to establish consent of the governed, rule by a king or by an aristocratic elite was illegitimate. Pure democracy, however, has long been as mistrusted as monarchy or aristocracy with respect to the safety of fundamental liberty interests. An alternative was needed to preserve government based on the will of the many but curb the excesses of majority rule. For over a century various Enlightenment philosophers debated the very nature of human liberty and the purpose of government itself. The prevailing conclusion was that a republic offered the best hope for the many. What, then, is a republic? A republican government is one in which the people—directly or indirectly—are the ultimate source of authority, electing representatives to make laws that serve their interests and advance the common good. A constitutional republic, however, also limits the power of the majority through a framework that promotes competent government and affords protections for fundamental rights. A republican government is one in which the people – directly or indirectly - are the ultimate source of authority, electing representatives to make laws that serve their interests and advance the common good. Republicanism would prove its political viability in the Founding of America. The American Founders sought to implement a form of democratic republicanism, not a pure democracy, through the Constitution of 1787. 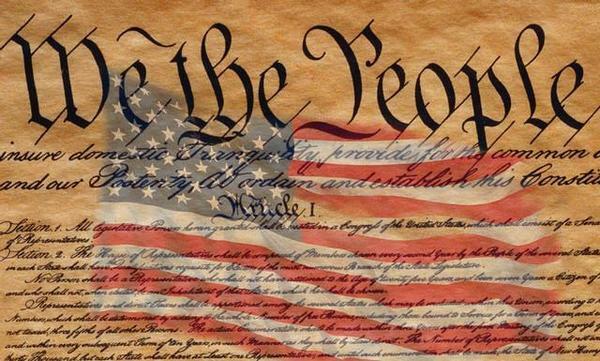 The most basic feature of the American constitutional republic is the selection of representatives directly or indirectly by the people throughout all three branches of government, adhering to the principle that all power must flow from the people. While the direct election of representatives is reserved only for Congress, Americans indirectly choose the president (via the Electoral College) and all federal judges (via presidential appointment and approval of Senators, all of whom are now chosen by the people). Rule by the many is preserved as regular elections ensure the people maintain a constant voice in their government and remain the source of legitimate power. Additionally, each branch represents distinctly different interests and is given specific powers and responsibilities that correlate with these interests. The legislative branch, for example, represents citizens (House of Representatives) and the states in which they reside (Senate), and is given the power to make law, raise taxes, declare war, and regulate commerce. The executive branch represents the interests of the nation, and as such is given the power to command the military, make treaties, and appoint ambassadors. Lastly, an example of judicial branch empowerment is through judicial review, to preserve the rule of law rooted in our Constitution and the laws enacted by Congress. This functional separation of powers is reinforced through a complex system of checks and balances that allows each branch to limit the reach and authority of the others serving to limit both passionate willfulness on the part of the people and the power of the government itself. The Bill of Rights provides perhaps the clearest example of the dichotomy between a democracy and a republic. It is simultaneously the most celebrated feature of our “democracy” and the most anti-democratic feature of our constitutional republic. 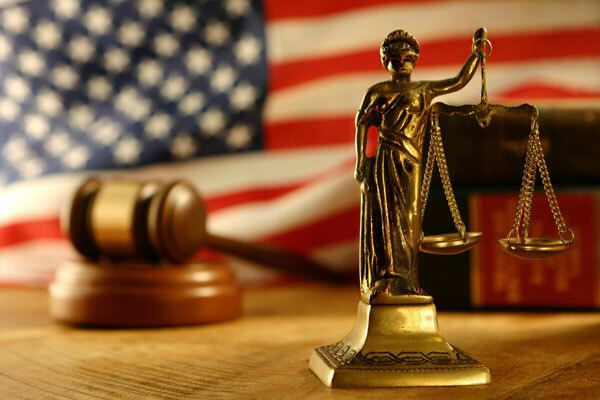 The Bill of Rights provides heightened protection for fundamental liberties, protecting both natural rights, such as freedom of conscience, and civil rights, such as protection against arbitrary search and seizure. 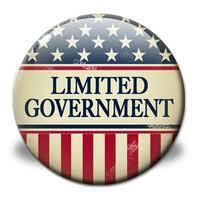 Some rights can be confined if the government satisfies due process requirements. However, no matter how large the majority, one’s right to practice the religion of choice or to be free from arbitrary search by government officials cannot be abridged or simply voted away. The Bill of Rights provides perhaps the clearest example of the dichotomy between a democracy and a republic. It is simultaneously the most celebrated feature of our “democracy” and the most anti-democratic feature of our constitutional republic. “It is natural for a republic to have only a small territory; otherwise it cannot long subsist…In an extensive republic the public good is sacrificed to a thousand private views; it is subordinate to exceptions, and depends on accidents. In a small one, the interest of the public is more obvious, better understood, and more within the reach of every citizen; abuses have less extent, and, of course, are less protected” (Baron de Montesquieu, Spirit of the Laws, 1748). In short, conventional wisdom at the time of America’s founding was that only a geographically small republic could provide competent self-government that protected liberty. Our Constitution, however, crafted the very “extensive republic” against which Montesquieu cautioned. “By a faction, I understand a number of citizens, whether amounting to a majority or a minority of the whole, who are united and actuated by some common impulse of passion, or of interest, adverse to the rights of other citizens, or to the permanent and aggregate interests of the community” (James Madison, Federalist No. 10, 1787). “Extend the sphere, and you take in a greater variety of parties and interests; you make it less probable that a majority of the whole will have a common motive to invade the rights of other citizens; or if such a common motive exists, it will be more difficult for all who feel it to discover their own strength, and to act in unison with each other” (James Madison, Federalist No. 10, 1787). Madison’s republic invites coalition politics rather than factious politics. Successful coalition building demands moderation rather than political extremism. British Prime Minister Winston Churchill once famously quipped: “Democracy is the worst form of government except for all those others that have been tried.” Benjamin Franklin, however, may have been closer to the truth of human experience: “Democracy is two wolves and a lamb voting on what to have for lunch.” In forming a republic based in the will of the people, equipped to promote justice and protect liberty, the Founders placed great trust in the virtue of each generation. Today we might well echo Franklin—we have a republic, if we can keep it.